We've been spoiled with several high-profile speakers over recent months. 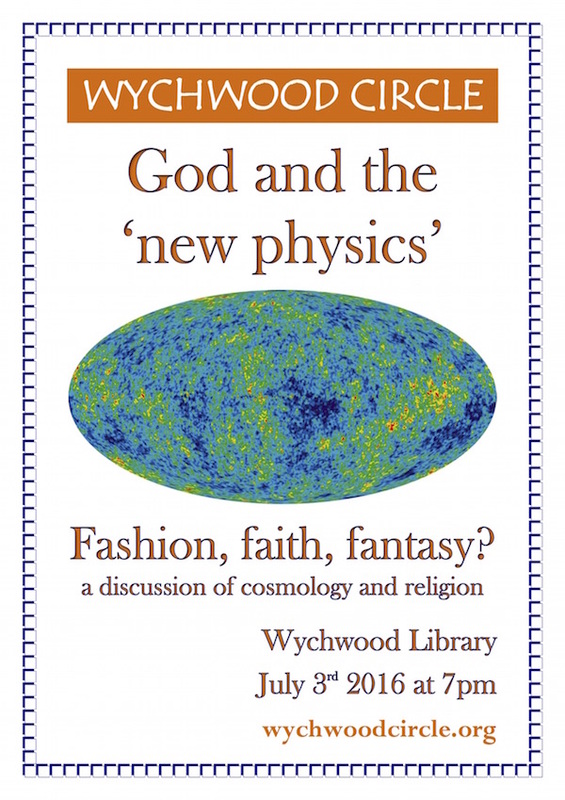 In July we are back in the intimacy of the library in Milton-u-Wychwood's High Street and discussing another eternal topic, that of the universe. Or should that be universes? 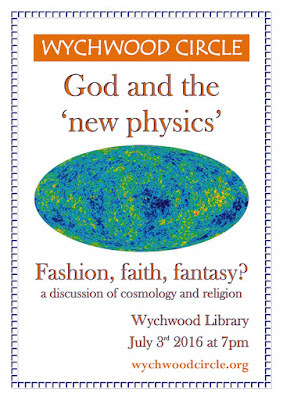 In a book written some time ago (1992) on the 'new cosmology', Angela Tilby (as it happens, a recent guest of ours) takes the layman through the science and relates how ever more discoveries have broadened, deepened, and widened physicists' understanding of, and speculation about, the universe (s) out there - beyond our little planet and our insignificant galaxy. From Newton through Einstein to Stephen Hawking, from steady state to big bang, and from black holes and dark matter to quantum mechanics and chaos theory, there is an awful lot for the non-specialist to absorb. But it is riveting stuff. And if you are struggling by the time you reach the different versions of the Anthropic Principle (chapter 8) you can always skip to a subsequent section, helpfully divided and headed by descriptive titles. After all there is not going to be a tidy conclusion to this story, however carefully you read it. In passing you will also come across Augustine, Aquinas, Teilhard de Chardin and Paul Davies. Once you are in this territory there is no limit to what one can speculate on: just look at the titles of books on this subject, like The Goldilocks Principle (Paul Davies). Gone are the days of cosy chats - or even fierce arguments - about evolutionary biology or intelligent design. Suddenly it seems that scientists and theologians would do well to listen to each other since both are on the very edge of their respective subject matter. 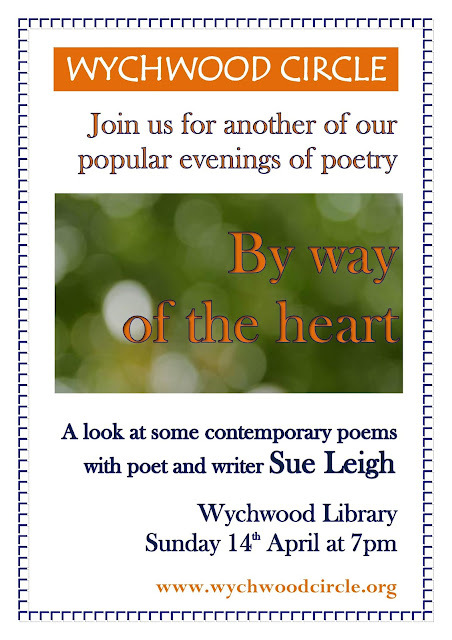 It is what we are particularly good at in our Wychwood Circle discussions, with or without an expert present. The physicist, mathematician, and philosopher of science Sir Roger Penrose has cautioned against "fashion, faith and fantasy in the new physics of the universe". Nevertheless, the willingness in the world of theoretical physics to think the amazing and the seemingly absurd is, in many research institutes, unrestrained.